Bihar and Jharkhand lie at the flat eastern Ganges basin between Nepal and Uttar Pradesh. Despite its poverty and political upheaval, the past glory days of the Buddhists is very much in evidence today. 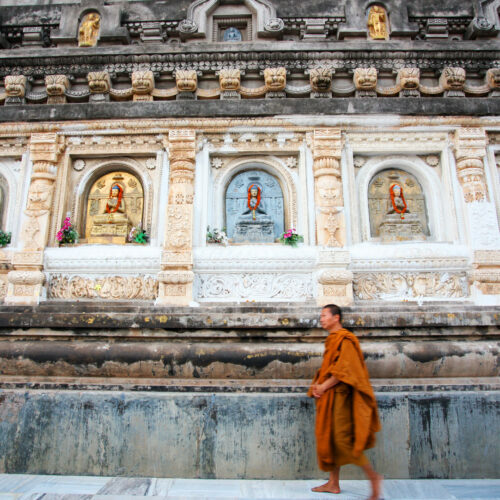 Bodh Gaya is considered one of the holiest sites for Buddhists from across the world. 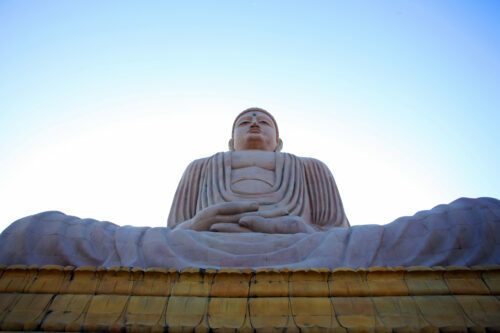 Located approximately 8 miles from Gaya, Bodh Gaya is the place where Buddha attained enlightenment. The focal point here is the Mahabodhi Temple and its soaring pyramid-shaped spire. Enclosed in the stone railing is the Bodhi Tree under which Buddha meditated and reached enlightenment. The place was severely damaged by Muslim invaders in the 12th century, but restored by Burmese kings in the 14th century. 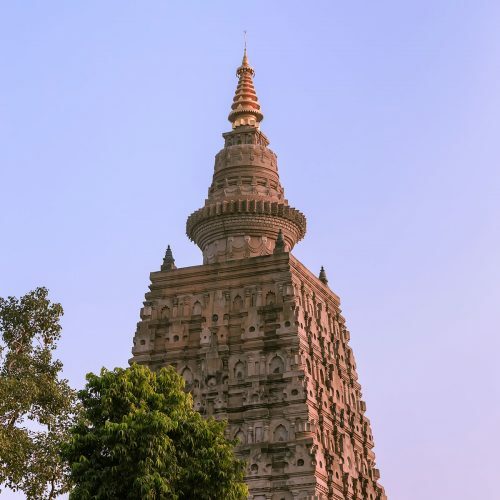 As Buddhism moved away from India, the temple sites were left to ruin until the late 19th century when again, Burmese Buddhists excavated and restored the temples. A visit here will never fail to move one, with a constant seem of Buddhist pilgrims who surround the temple with their lulling chants. From November to February many of the exiled Tibetans congregate at this time, forming a huge canvas city next to the Gelugpa monastery. The small white Animesh Lochana temple within the compound marks the spot where Buddha stood and gazed upon the Bodhi tree in thanks. The surrounding landscape has many modern monasteries and temples, creating a sort of Buddhaworld. Short and long term meditations course are readily available. Nearby Bodhgaya sit the remote Mahakala Caves where Buddha is believed to have spent many years of penance practicing severe self-denial. A short climb leads to a Tibetan monastery and small shrine within a cave. This site see far less tourists. Nalanda founded in the fifth century was once a great monastic Buddhist university with thousands of international students and teachers in attendance, until it was sacked by Afghan invaders in the twelfth century. The ruins still show the scale and strength of Buddhist civilization in its prime.